Half Moon Pub kitchen canopy. A Sheffield Stainless steel kitchen canopy fabricated for a local Pub. 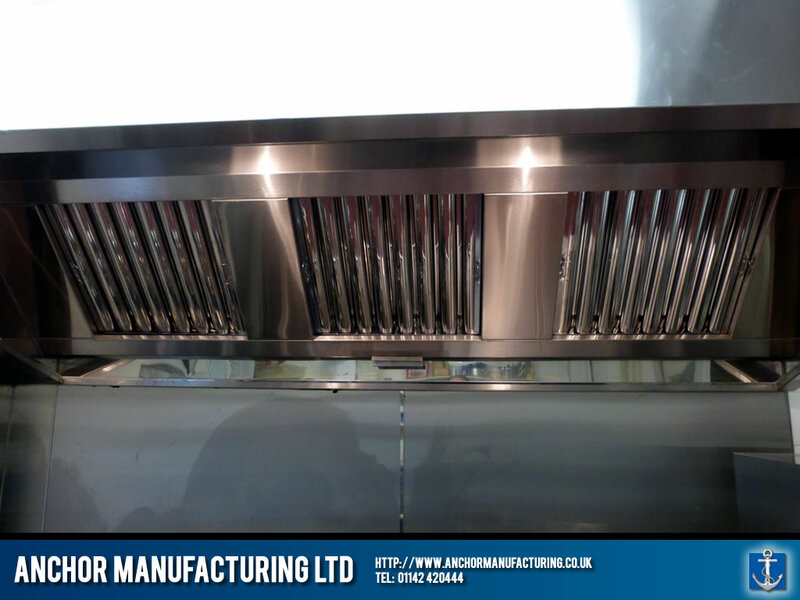 A local Sheffield Public House required a new kitchen canopy hood and air extraction solution for its pub kitchen. 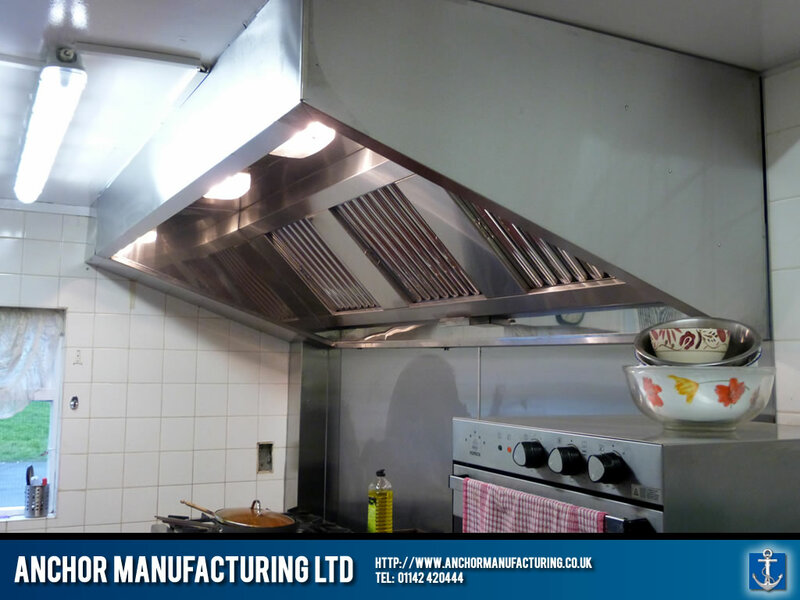 Anchor Manufacturing LTD fabricated a custom kitchen canopy design (measurements taken from an initial survey) entirely in stainless steel and fitted it in the designated position. 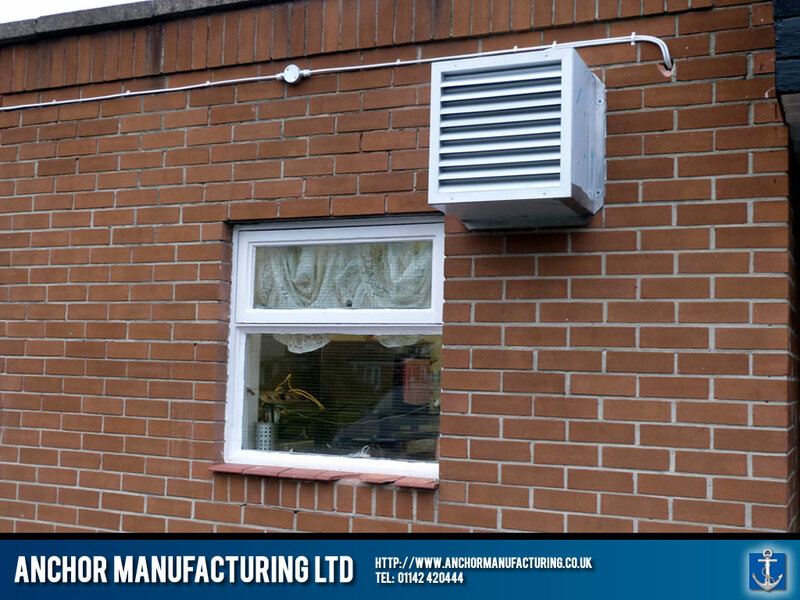 An input air device was also fabricated and installed into the wall, allowing a clean air flow through the kitchen. 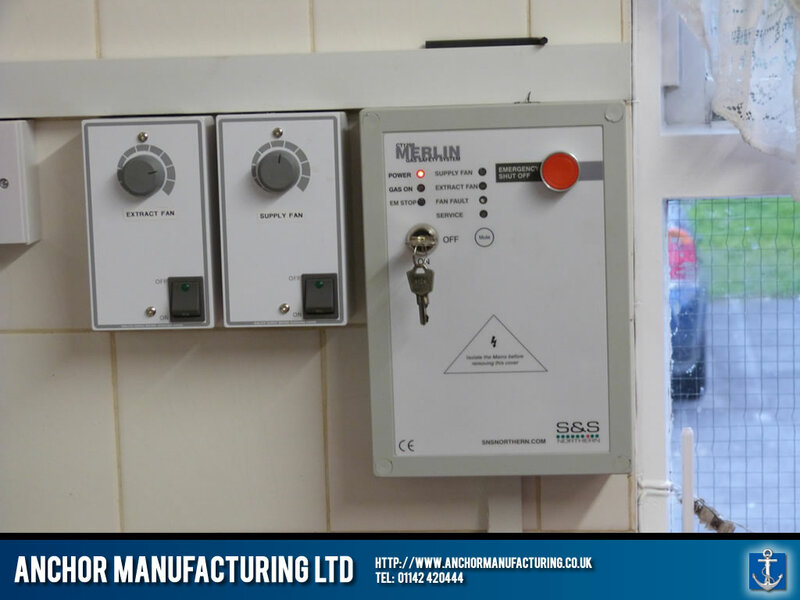 A gas safety system and fan controller units were also added to provide a comprehensive kitchen air extraction solution.